Bahrain, Saudi Arabia, Egypt, the United Arab Emirates, and Yemen have severed diplomatic ties with Qatar, accusing the country of backing terrorist groups. 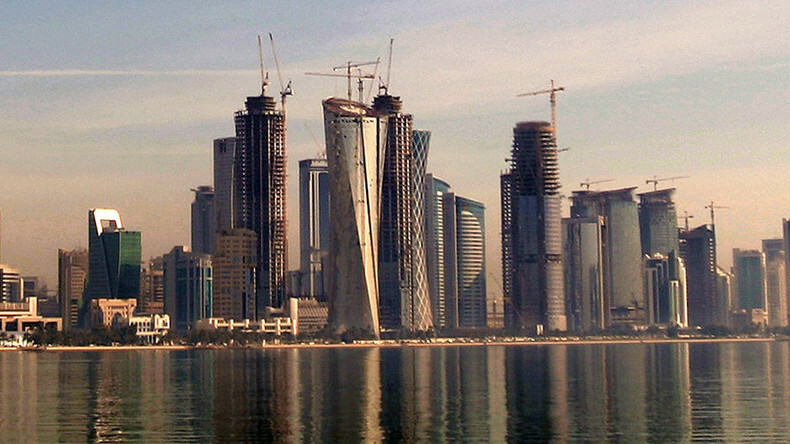 Qatar has called the move a "campaign of incitement" which is "based on lies." Bahrain announced early Monday that it is severing diplomatic relations with neighboring Qatar and cutting air and sea connections with Doha, accusing it of meddling in its internal affairs. Bahrain’s state news agency said in a brief statement that Qatari citizens have 14 days to leave the country. It accused Doha of supporting terrorism and meddling in Manama’s internal affairs. Citing “protection of national security,” Riyadh then announced it was also severing ties with Doha and closing off all land, sea and air contacts, the Saudi state agency said in a statement, cited by Reuters. The Saudi-led coalition has announced that Qatar’s participation in its joint military operation in Yemen has been canceled. The coalition’s statement accused Doha of supporting the Al-Qaeda and Islamic State terrorist groups. Egypt was next to join the diplomatic war, with Cairo announcing it is cutting relations with Doha, according to Sputnik news agency. Egypt has closed all its seaports and airspace to Qatari vessels and planes, the country’s Foreign Ministry said in a statement. “The Government of the Arab Republic of Egypt has decided to sever diplomatic relations with Qatar because of the continued hostility of the Qatari authorities towards Egypt,” the Cairo statement read, also accusing Doha of supporting terrorist organizations, including the Muslim Brotherhood. The United Arab Emirates (UAE) has followed suit, citing “support, funding and embrace of terrorist, extremist and sectarian organizations” as the reason for cutting ties with Qatar. The UAE’s state news agency said in a statement that Qatar is “undermining regional stability,” Reuters reports. READ MORE: Qatar-Saudi spat threatens Riyadh’s influence. But what are the Saudis really worried about? The Emirates has similarly given Qatar’s diplomats just 48 hours to leave its territory. Yemen also followed suit, accusing Qatar of working alongside its enemies in the country's ongoing civil war, Al Arabiya and Reuters reported, citing state news agency Saba. The government said it cut ties with Qatar partly over its support of extremist groups in the war-torn country, which were “in contradiction with the goals announced by the countries supporting the legitimate government,” AP reports. “Qatar’s practices of dealing with the (Houthi) coup militias and supporting extremist groups became clear,” the government said in a statement cited by Reuters. It added that it supports the decision by the Saudi-led coalition in Yemen to remove Qatar from its ranks. Alarmed viewers of the Qatari TV network Al Jazeera wondered why it was not covering the diplomatic crisis, instead tweeting pieces such as a video about hijab cosplay in Malaysia. Al Jazeera finally broke the news at around 03:35 GMT, citing a “dispute over a Qatar news agency hack” as grounds for the crisis. There was no immediate response to the accusations available from Doha, Al Jazeera said. 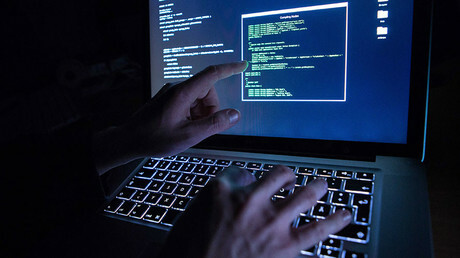 BBC: "Several nations cut ties with Qatar"
The hacking and “fake news” scandal broke out on May 23, when Qatar News Agency’s website and social media accounts were apparently hacked, spreading what Doha calls false statements citing Qatari emir Sheikh Tamim bin Hamad Al Thani. Those included him allegedly slamming the recent tensions with Iran, calling Hamas and Hezbollah “resistance movements,” as well as doubting whether US President Donald Trump will stay in power for long. The agency’s compromised Twitter account also cited the Qatari foreign minister as saying the kingdom was severing relations with some of its neighbors. While Doha vehemently denied the validity of those claims, UAE-based broadcasters Al Arabiya and Sky News Arabia picked up the stories, giving them extensive coverage and infuriating Qatari officials. In the latest cyberwar development before the all-out diplomatic crisis, the Bahraini foreign minister’s Twitter account was allegedly seized on Saturday by hackers, who tweeting hostile and insulting clips about Iran. It took more than six hours for Bahrain to regain control of the account, judging by the reports on the Foreign Ministry’s Twitter page. Saudi Arabia, Egypt and the UAE top the 22-state Arab League in terms of gross domestic product (GDP), with Qatar currently ranking 4th. Qatar also hosts the US military’s Central Command and some 10,000 US troops, with American forces using its Al-Udeid airbase. AP said there was no immediate response from the Pentagon on the situation.